March and April are the months for Roses! A soil Ph level between 6.4 and 7.5. Soak the roots overnight in a tub of water. Before planting , remove any damaged roots or canes, cutting about a quarter inch above a bud at a downward angle. Dig a hole about 18" by 18", then replace most of the soil in the hole to create a mound to support the roots. Drape the roots across the soil mound, making sure that the bud union (that knot of wood between the roots and the canes) is placed about an inch above the soil. Fill the hole three-quarters full of soil.Gently tap the soil around the roots and water thoroughly. When the water has completely soaked in , add the remaining soil and tamp lightly. Keep the potting mixture moist. When ready to plant, prune away any damaged canes or roots. Dig a hole large enough for the root system, container and all. 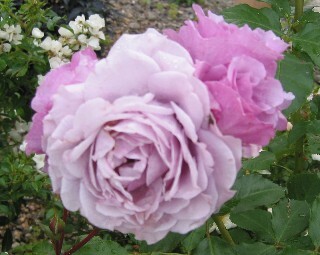 Refill the hole with soil around the roots of the rose, taking care not to cover the bud union. If you mulched in the fall, now is the time to replenish. 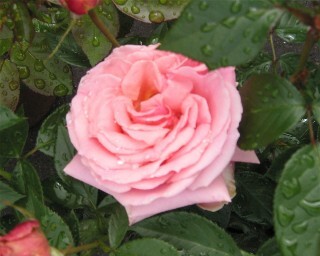 If you have just planted your new roses, mulch them. In summer mulching helps prevent moisture loss and reduces weeds. In winter it offers protection from damaging frost and wind. Mulch to a depth of about 4 inches, but keep mulch a few inches away from the rose canes. March is the time to prune roses. Examine your established plants and remove any dead or diseased canes. Always use sharp pruners and be sure to make a clean, angled cut just above a bud. Prune by cutting away all dead wood, any canes or stems that are weak, thin or diseased, or stems which rubs against other stronger stems. 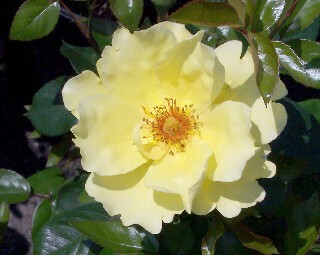 Aim to form a well-ventilated, open-centered shrub. Have your soil analyzed! This will tell you what you need to add. 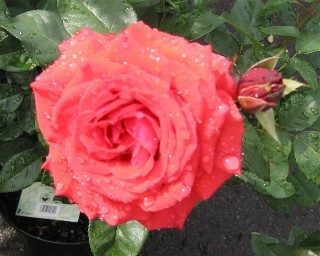 For newly planted roses add a little fertilizer after the first blooming cycle. For established plants, begin fertilizing in the spring about a month before blooming begins. 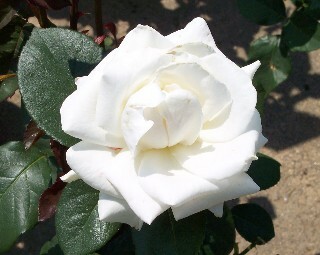 For all roses, try to get at least 2 cycles of fertilizing done in the growing season and discontinue about six weeks before the last blooms appear. 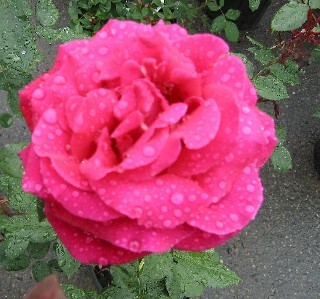 Use fertilizer especially formulated for roses!